This is just one of the gas appliances in my home and for many of you reading, it probably isn’t your only piece of equipment being heated with gas. 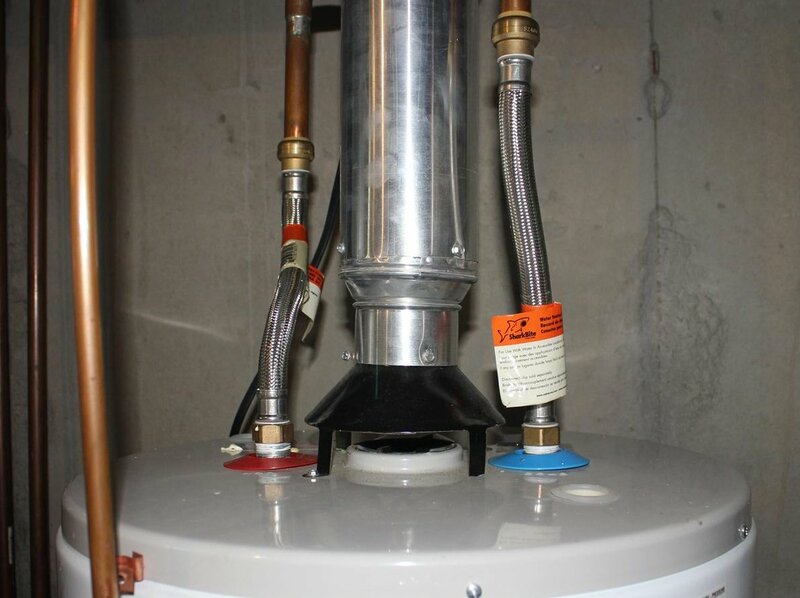 Water heaters, stove tops, boilers and furnaces are other things that homeowners hook up to a gas line. While natural gas may be your preferred method and it carries a lot of upside, there is a major problem that occurs inside of homes that many homeowners overlook unless it is bad enough to catch their attention. However, just because it doesn’t catch your attention does not mean it still isn’t an issue that needs to be resolved. Not just for your safety but also your health. I am talking about back drafting of combustible appliances. Back drafting is the event of harmful gases released from your combustible equipment (water heaters, furnace, fireplace, stove, etc.) being pulled back into the home where you live. A main culprit in this: negative pressure. Negative pressure is created when the pressure inside your home is lower than the pressure outside your home. Pretty easy right? Think of it as you would any standard math equation and you will never forget. The pressure inside your home is your starting point and then subtract your outside pressure. If you have a negative number then you suffer from negative pressure and if you still have a positive number then you have positive pressure. If you land on zero then congratulations! Your home is balanced. Every CFM that is forced outside of the home needs to be recovered and natures natural course is to force that air back in through whatever means necessary. This means leaks in your exterior that work back to the home such as exterior wall outlets, attic access points that are inside the home, can lights, and one of the worst… duct leakage. The duct system is under positive pressure on the supply side as it pushes air to each room and leaks along the way are forced somewhere. Those areas then need to force out the surplus of air somewhere. On the flip side, the return is sucking in air so it is creating negative pressure. Duct leakage on the return side means that air is now being pulled from areas along the return and other air is being forced in to make up the difference. This is where the problem with combustible appliances arises. If the duct leakage is significant enough it will begin pulling very bad air back into the home instead of the flue and out of the house as intended. Another negative to negative pressure is that it reduces the amount of available combustion air which is needed for the appliance to operate properly. If there isn’t enough then you will have an incomplete combustion and this is bad for your equipment, bad for your health and bad for your safety. This can visually be seen by the change in your flame color or visible soot since you are now creating carbon. The water vapor that should have escaped might condense and stain the top of your water and you might even have melted plastic as a result of back drafting. There are many other telling signs of back drafting which are covered in a link later in this write up. Back drafting of your appliances may not seem all that important especially if it appears to be very minimal but that doesn’t mean it’s not a problem. With all the intentional breaks in your building envelope such as windows, doors, kitchen venting and bathroom venting, the majority of homeowners have already set themselves up to be in the negative. The average duct leakage per household seen nationally is 20-30% so you are likely to be in the negative just based on your duct work. If you are unsure if you are being tormented by backdrafting or afraid to ask a professional, here is a pretty good read on how to look for signs of back drafting and determine how bad your situation is. https://structuretech1.com/water-heater-backdrafting-signs/ . Whatever you choose to do, dont accept living with poor IAQ that puts you and your family at risk especially when it can be resolved. Carbon monoxide affects 20,000 to 30,000 people a year in the United states; don’t be one of them.